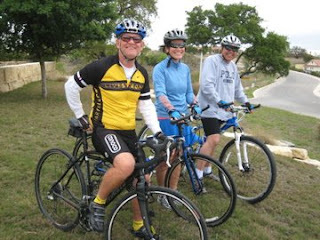 Robert, Dad and I did the Easter Hill Country Tour last weekend. 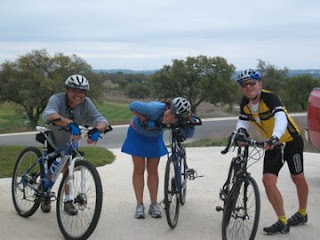 We rode 25 miles on Friday and 20 miles on Saturday. Dad even did another 34 on Sunday. The longest ride I'd done before this was 17 miles around downtown San Antonio. I learned a lot from Dad about cadence and using my gears. 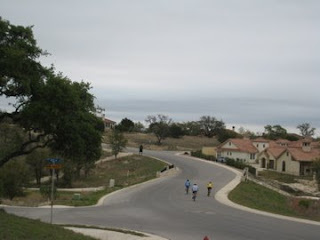 I also walked my bike up two hills, and I'm not ashamed to admit it!